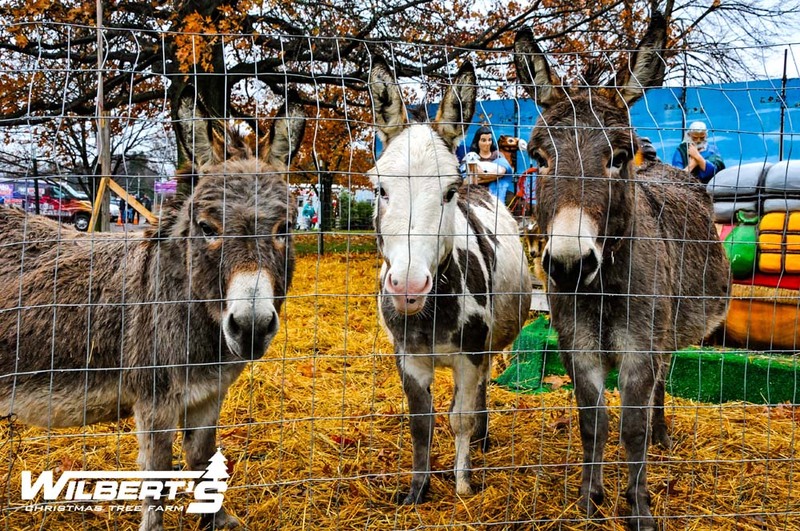 Our Nativity Scene has been displayed for nearly 30 years and is considered a statewide attraction. 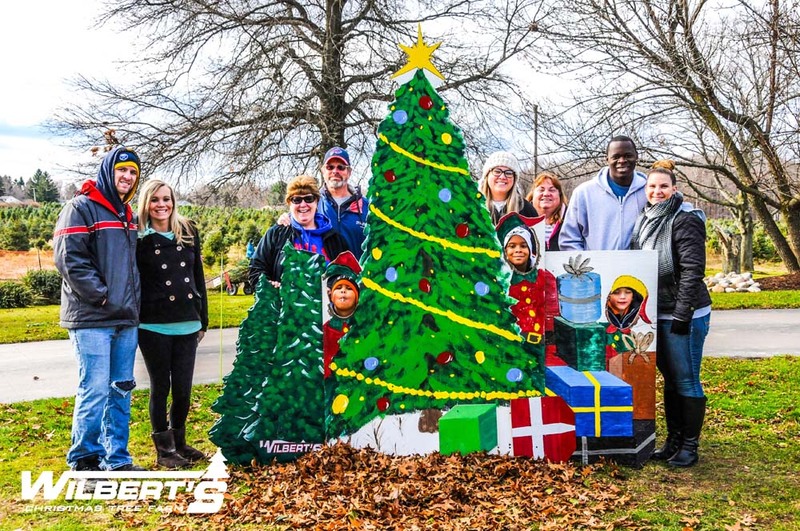 The life sized Nativity Scene tells the real meaning of Christmas, the birth of Jesus. 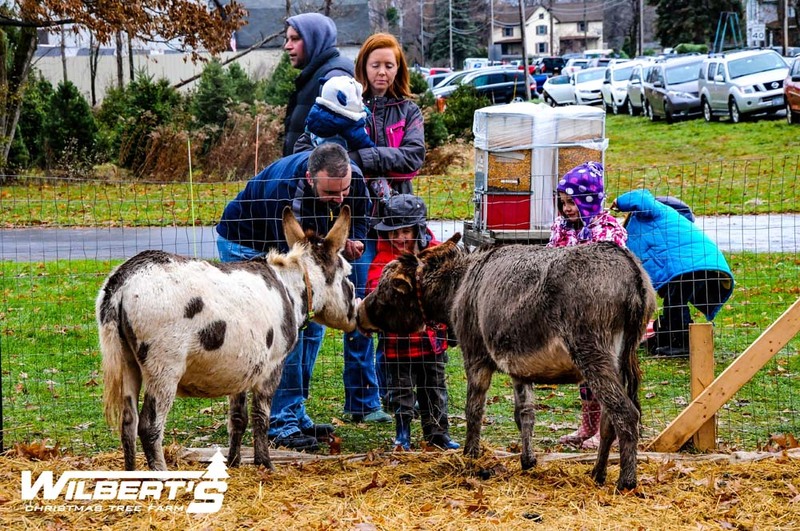 Sheep, goats and a donkey are also on display. 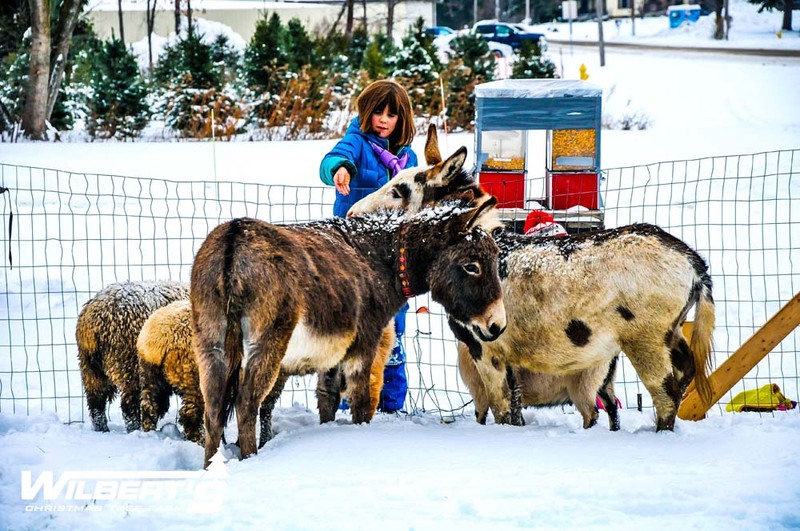 Animal food is available to feed the animals. 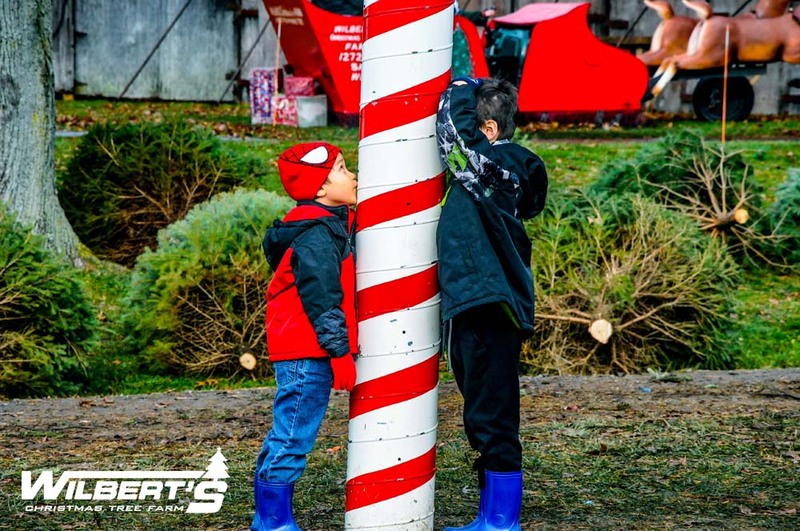 Come and see Santa’s sleigh and flying reindeer! 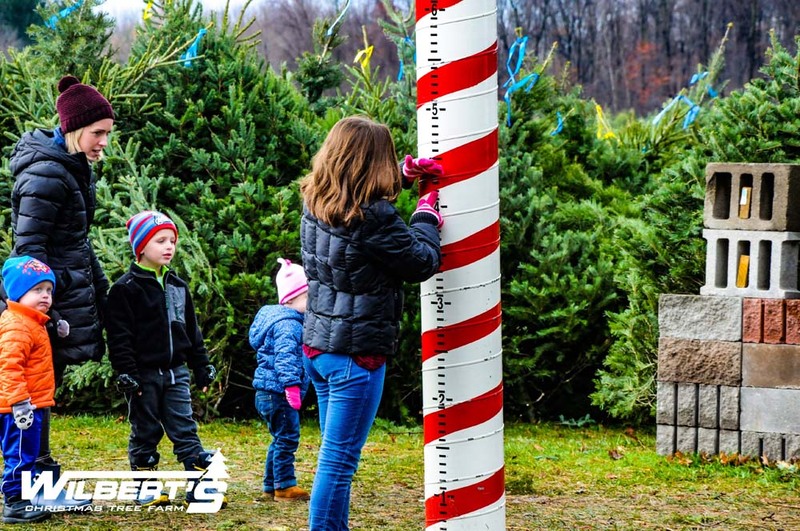 Check your tree’s height and family growth every year at the Candy Canes which are located at every station. 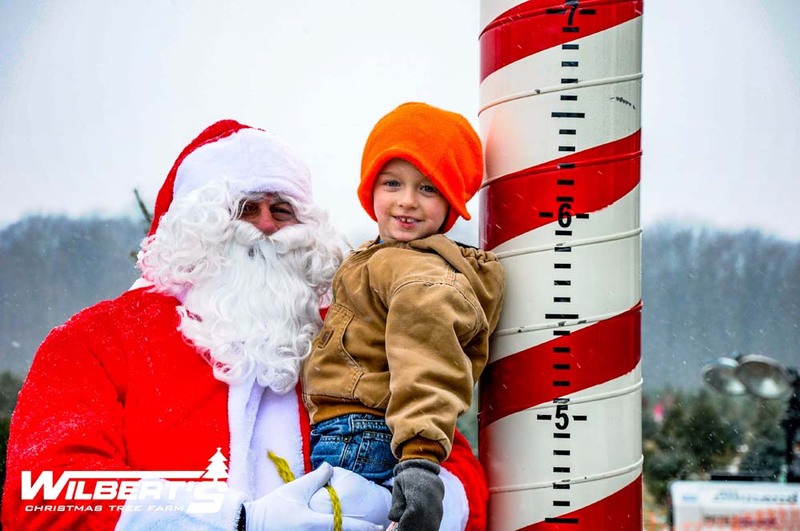 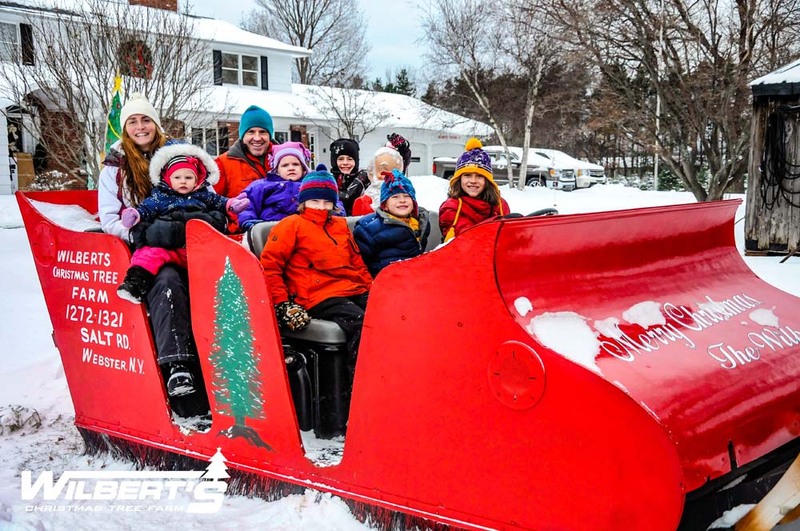 During the month of December, Santa Claus comes to visit our tree farm every Saturday and Sunday between 10am and 2pm. 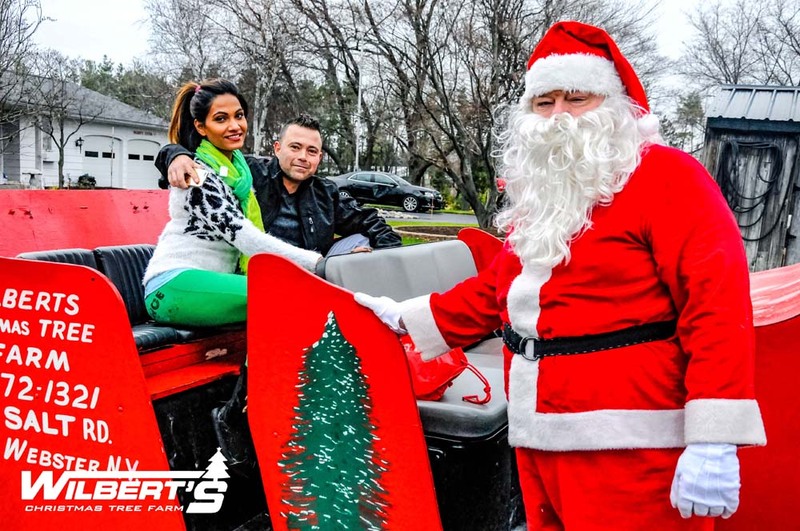 Come visit Santa and get your picture taken today! 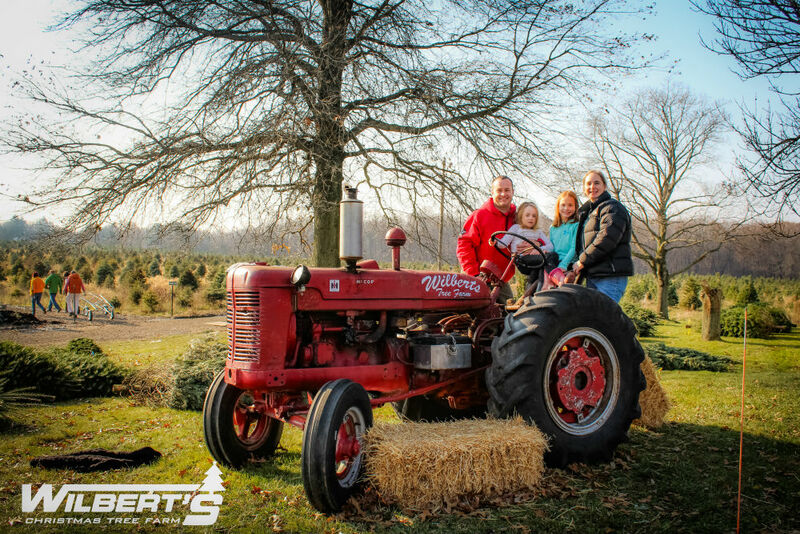 Come check out our Classic 1941 McCormick Farmall A Tractor! 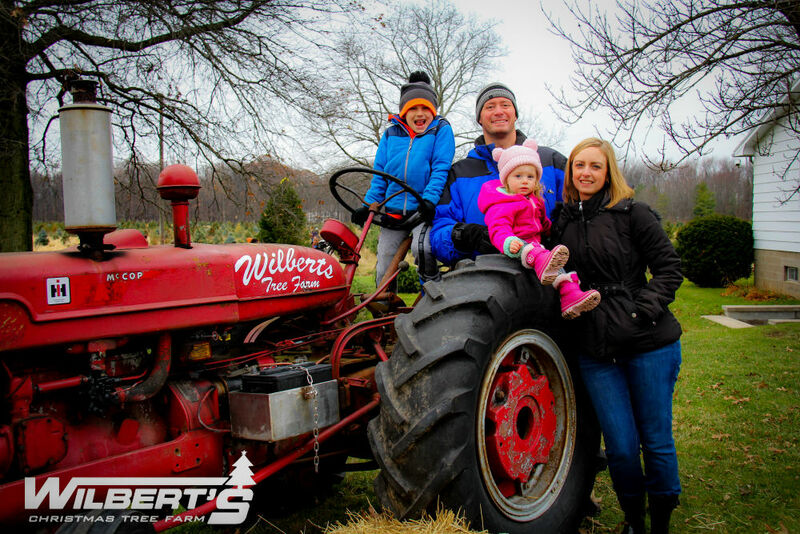 You can come take your picture with the same tractor Art used on the Wilbert’s Farm back in the 1900’s. 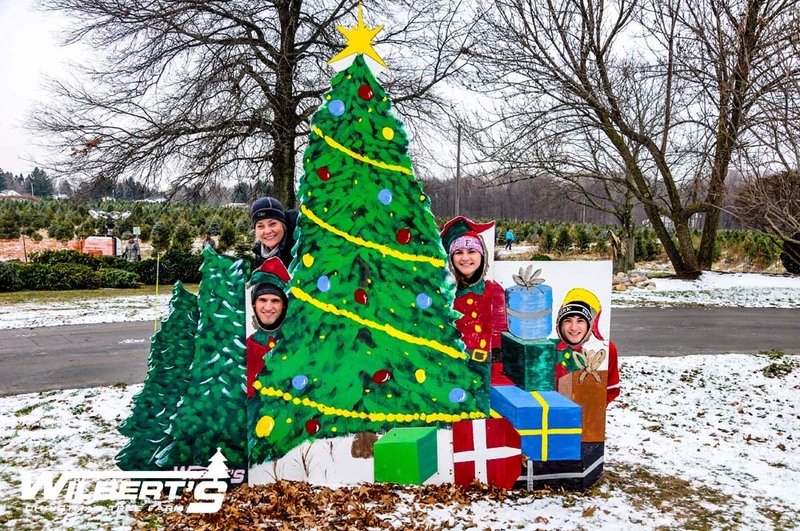 Come take your picture with our Christmas Tree Cutout, where you can look like an elf for your kids this Christmas! 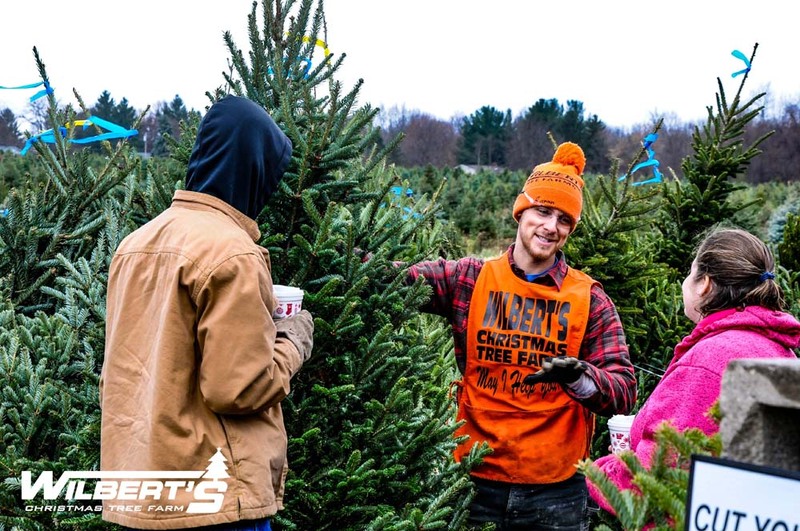 Our staff works here because they love Christmas, Trees, and our customers. 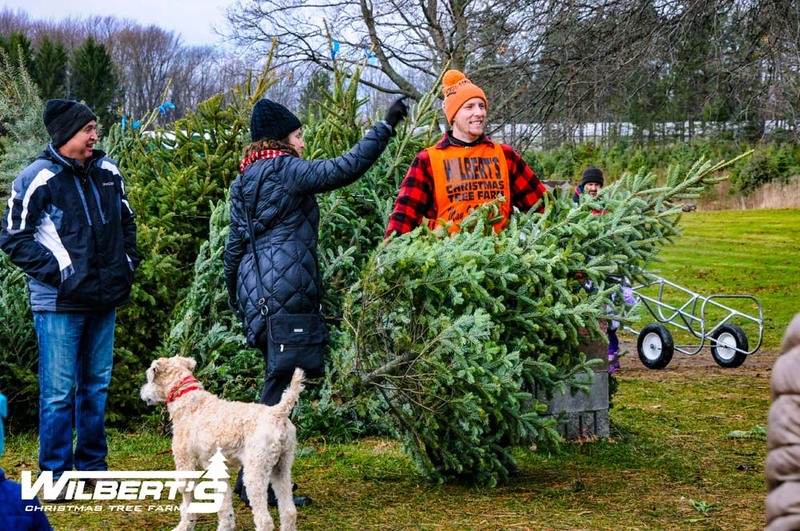 Our friendly staff will help guide you in the right direction, shake and bale your tree, and even take your picture! 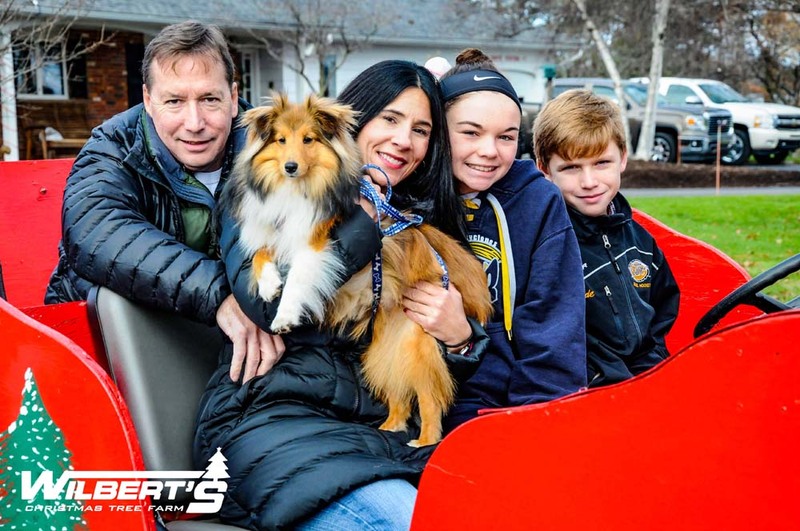 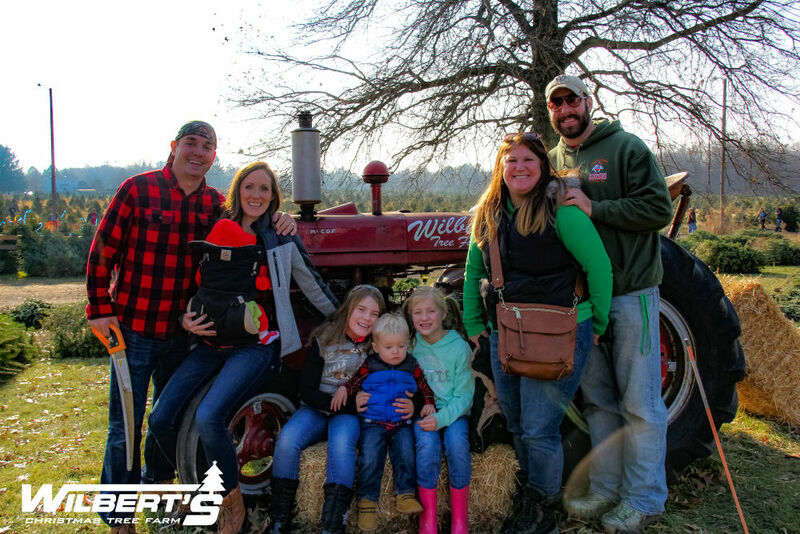 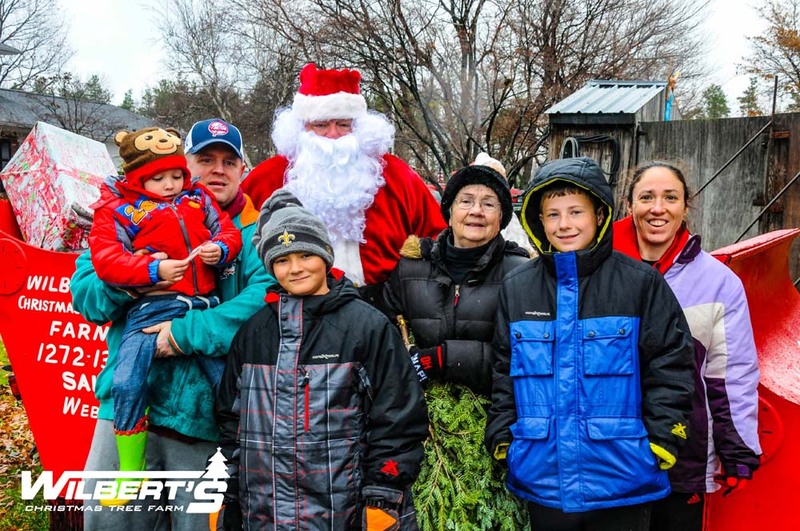 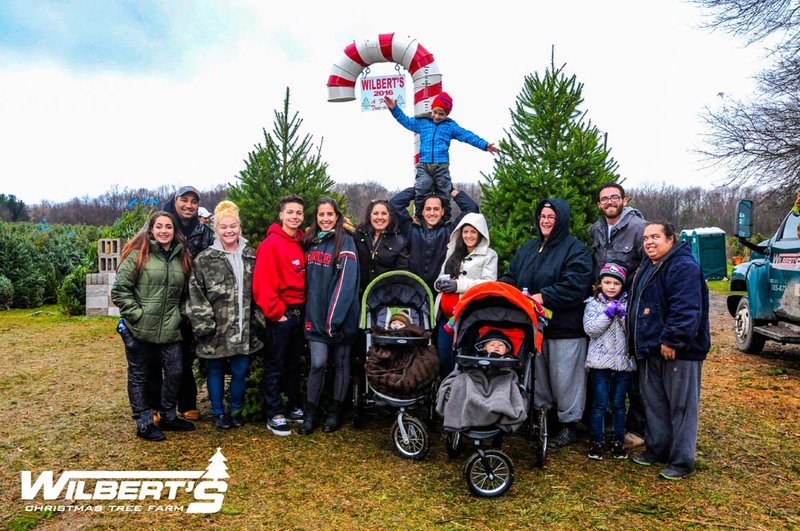 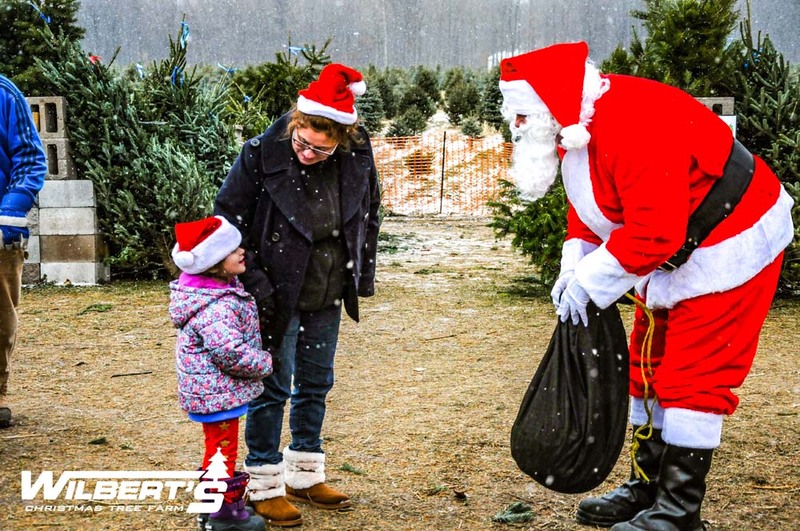 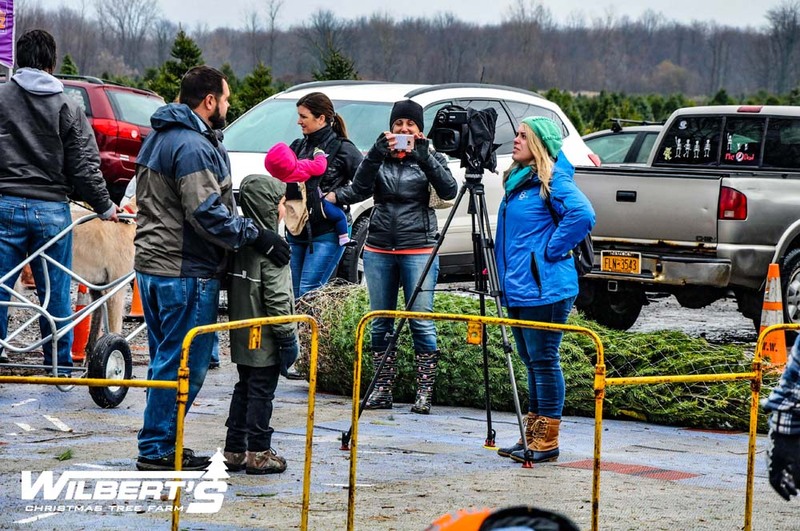 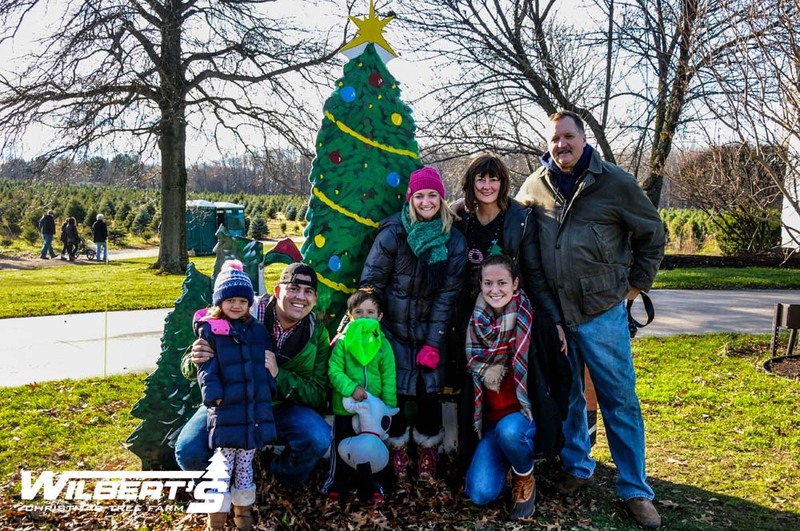 We work with our local radio and TV stations to bring you updates and entertainment from Wilbert’s Christmas Tree Farm! 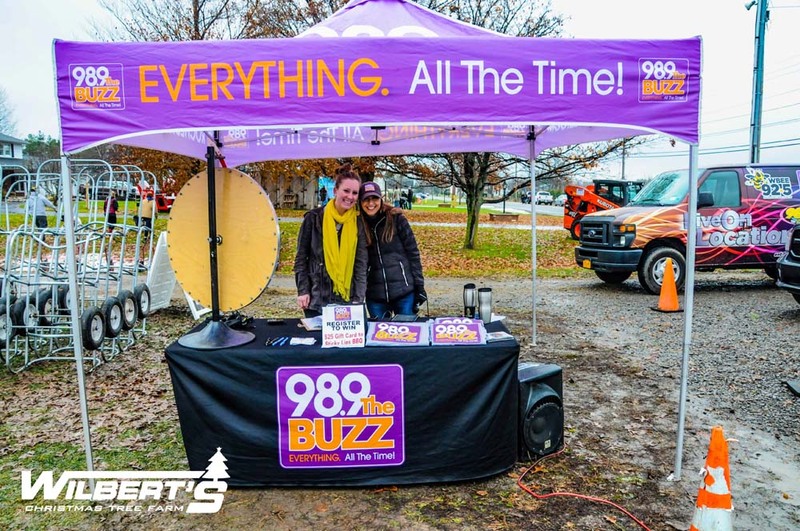 Come by and see what’s broadcasting today! 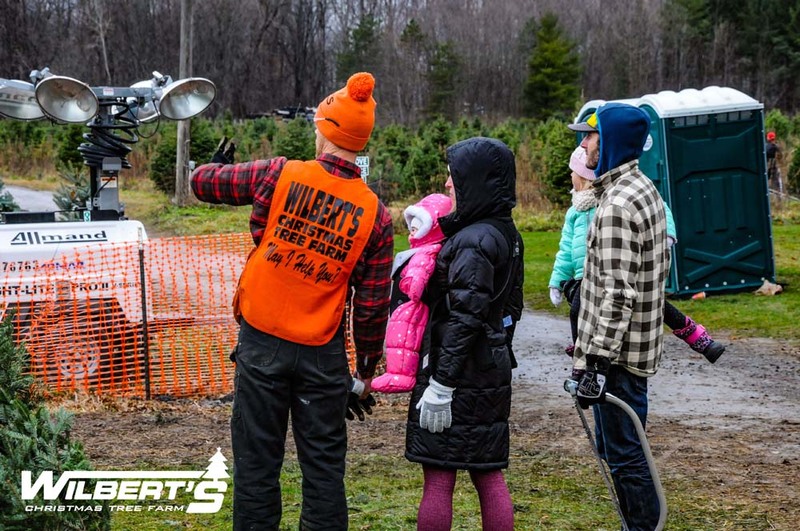 Over 100 Acres – that’s over 180,000 trees!